In the last decade, interest in domestic trade and production companies in relation to the Chinese partners has grown a few dozen times. This phenomenon is quite logical, since most global companies in China formed its main production facilities. According to statistics, China currently produces more than 70% of the world's toys, 50% of shoes, more than 50% of electrical equipment and appliances. That is why the delivery of goods from China enjoys such great demand. 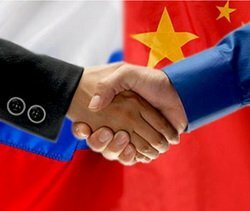 Russia is a strategic partner of China, and therefore our government regularly organizes complex political and economic measures to strengthen ties with China. For example, in 2008-09, an agreement was signed between the two countries on joint construction in China one of the largest ports, equipped with modern equipment, as well as the reorganization of the project w / d between the countries. All this contributes to the ever-increasing volumes of cargo delivery from China. A huge number of Russian businessmen and companies interested in the delivery of goods from China. For full maintenance needs in cargo transportation from China, need constant interaction of economic and political systems of the two countries. But only with the help of an experienced and reliable shipping partner you can quickly solve all tasks. Delivery of goods from China - one of the priority directions of activity of our firm. With 20 years of experience, "the Association of Customs Brokers" provides a full range of services for transportation of goods from China. In fact, this stage of the multimodal transport organized by our company to its customers. Our company has a powerful ramified infrastructure, as well as long-term bonds, which allows almost immediately respond to any changes in the course of cargo from China. Moving from China according to "door to door". Preparation of all necessary documents for GTE. Customs clearance of goods from China. Representation of client's interests in customs bodies. Advice on all matters relating to foreign trade. Accepting applications for the delivery of goods on weekends and public holidays - 7 days a week, 365 days a year. Shipping cost goods from China may vary considerably. First of all it depends on the type of transport, distance points shipment destination. Also pretty much on the cost of the delivery of goods from China influences the amount of cargo. But even if you have to deliver to the Chinese side a small consignment of goods we can offer you a solution to minimize your costs - consolidation of cargo. Our company will help you to save much precious time, because we take care of all the difficulties and challenges that accompany the goods from China. This also applies to the customs clearance of goods from China, and supervisory support cargo. We constantly monitor the location of your goods and guarantee the safety of your cargo. Thus, we care about your health - remember, nerve cells do not regenerate. Trust the real professionals - use complex services of "Customs Brokers Association"!